We’re home again from our travels and once more I’m reminded of how much I dislike flying! Give me a road trip in a car any day. 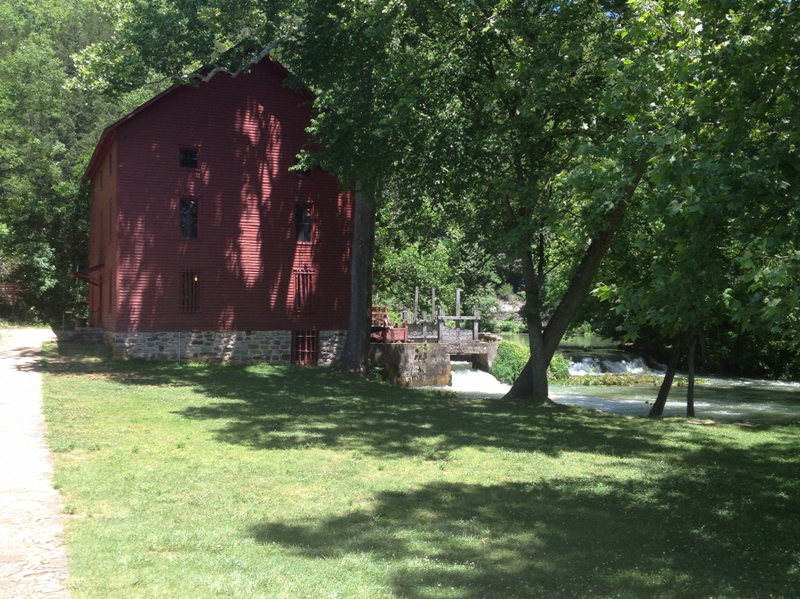 Of course, because the trip to the airport was 2 hours on our end and 4 hours on the other end, I guess we had the added “fun” of a road trip, but without the ability to do some leisurely sightseeing. 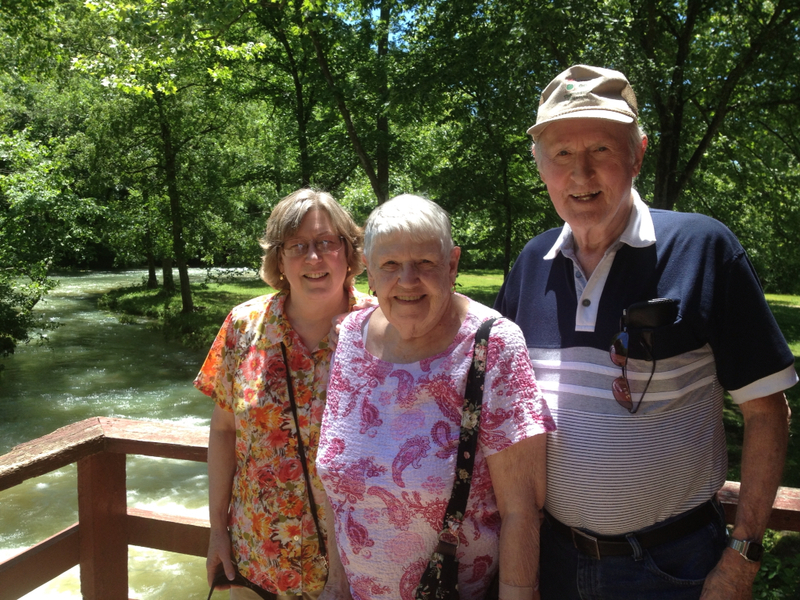 This trip was back to the old homestead in Missouri to visit my parents. As you can see, they both are doing well (pictured there with my sister Claudia). We do worry sometimes about them living out in the middle of nowhere, but they have a great social support group with many friends from their church who love them and look out for them. The weather semi-cooperated for the first part of the trip and it wasn’t too miserably hot and humid. 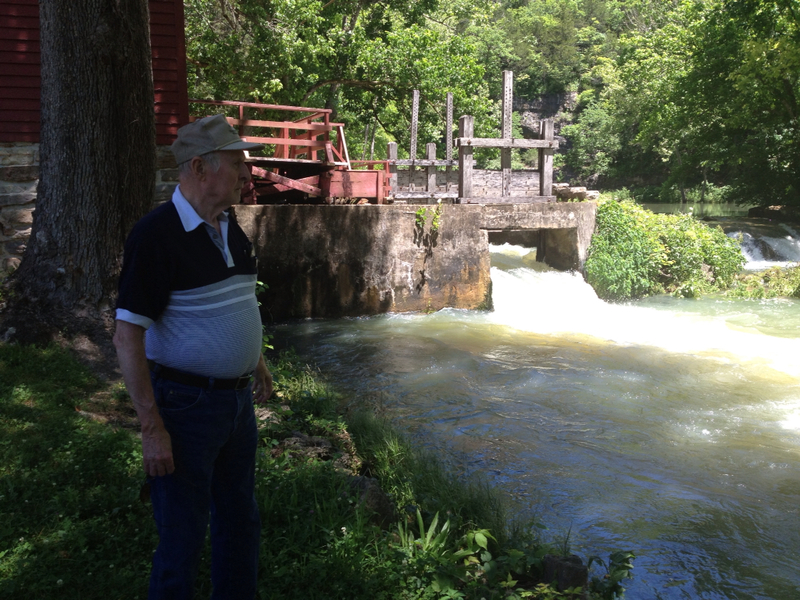 We took a day to visit Alley Springs, which is a part of the Ozark National Waterways, under the National Park System. Other than that, we mostly just spent time with the parents and during our hanging out time, I got a lot of knitting done. I finished my Hedera socks. These are mine, all mine! I really need to supplement my sock wardrobe as I seem to be wearing through them at an alarming rate. I immediately cast on for a new pair – Journey Cable socks, which will not be for me, but for a friend. 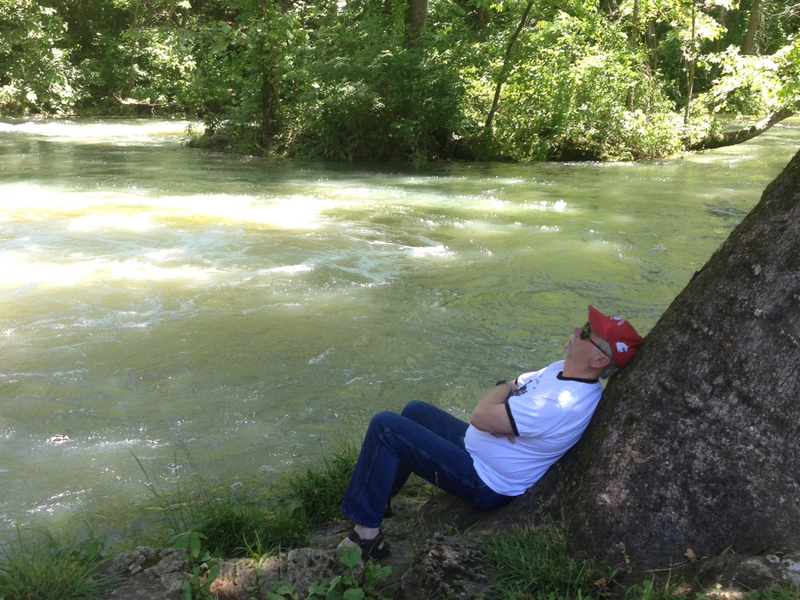 I have had this pattern for quite a while, but always put it off because there are so many options for size and weight in the pattern and wading through them all was quite daunting. Knit Companion to the rescue. It was so easy to go through and just set up the size I wanted. Speaking of Knit Companion, I will be teaching another class at Wild Fibers in Mt. Vernon on July 20th. The class is already almost full, which is really exciting! The recent update to Knit Companion has added some great features. I am constantly amazed at the responsiveness of the developers. There is a group on Ravelry and if you ask a question, you will usually get an answer within minutes! 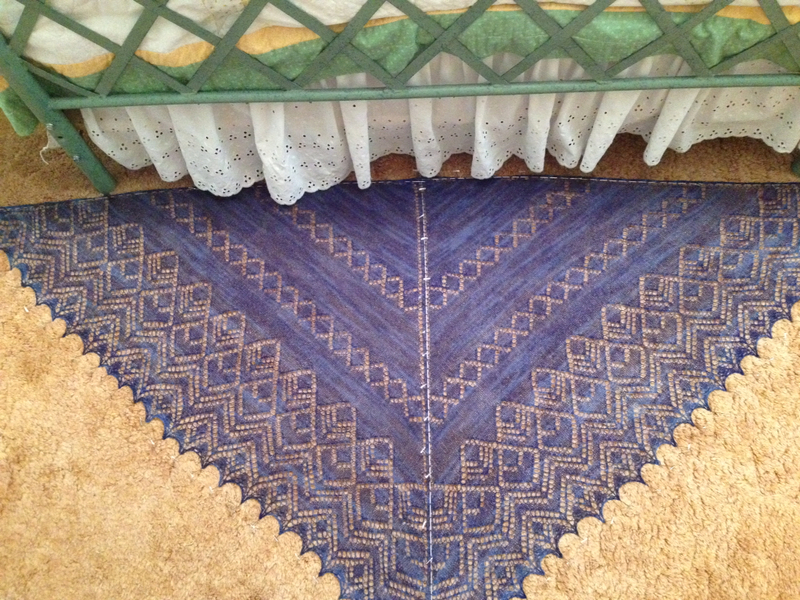 Since we got home I’ve finished my Wilshire Shawl and finally got around to blocking my Evenstar. 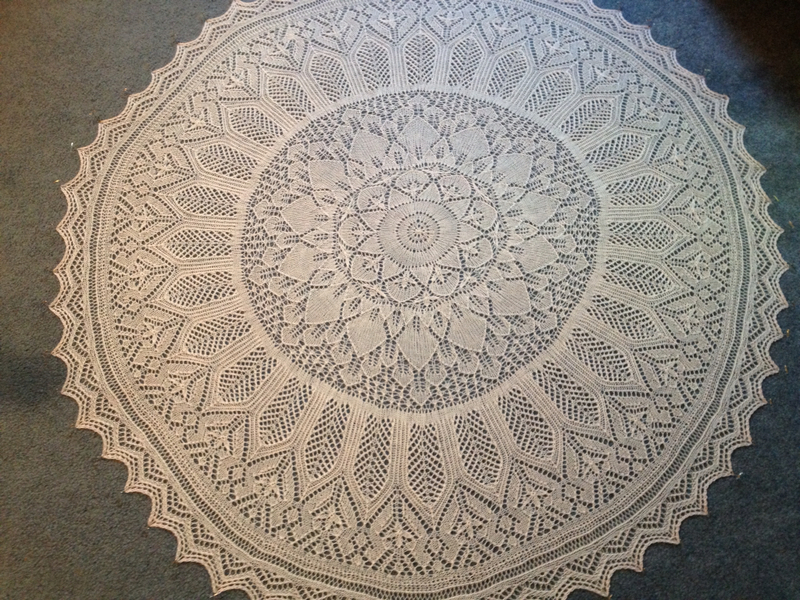 When blocking Evenstar, I encountered every lace knitter’s worst nightmare – a dropped stitch! Actually, it could have been worse. It could have been a broken stitch with the resultant loose ends. 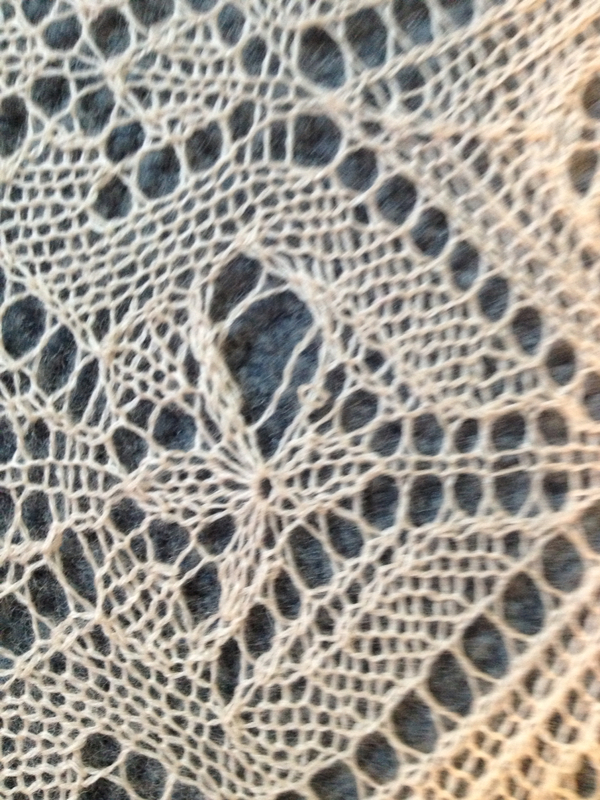 This stitch had only dropped down a few rows and was waiting patiently to be picked up.